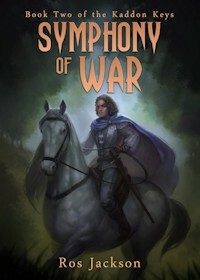 My new book, Symphony of War, is now available to buy as an ebook. It's the second book in my epic fantasy series, The Kaddon Keys and the sequel to Melody of Demons. This is a series you might like if you're into adventurous character-driven fantasy with a hard edge, a world of magic and dragons, and touches of romance and humour when you're least expecting it. The book is currently exclusive to Amazon, which means it can be read for free by anyone with a Kindle Unlimited subscription. I'm planning to make it available on other retailers in January next year, so there will only be a few weeks to take advantage of the Kindle Unlimited free offer. Meanwhile, other local authors have hardly been idle. 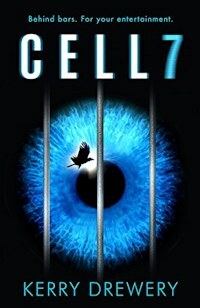 Kerry Drewery's book Cell 7 came out in September. It's a YA reality show thriller in which people phone up to decide whether people on a TV show will live or die, and the teenage main character has confessed to a celebrity murder. This is near-future science fiction with the kind of political resonance that fans of The Hunger Games should relish. 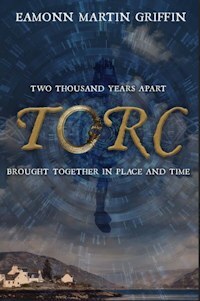 Staying on a YA theme, Eamonn Griffin's second novel, Torc, came out this year. You may remember Eamonn from the Benches of Louth blog, but this novel is very different. It's both historical and present-day, linking two characters across the centuries through an artefact and a shared mission to save their ways of life. The theme of characters linked through time reminds me of Kate Mosse's Labyrinth, and I'm excited to read what Eamonn makes of this subgenre in a tale that takes in Roman times and modern Scotland. 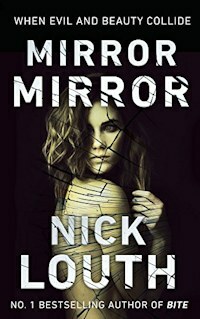 Finally, Nick Louth has released another thriller, titled Mirror, Mirror. No evil queens here, but this is a story about a beautiful celebrity who becomes the target of an obsessive and devious criminal whose aim is to possess her. This looks like a great book for fans of high-stakes thrillers and suspense with a political edge. There's one thing that unites all of the authors above, apart from being local. We've all been to Wolds Words, which over the years has been a great place to network with other authors, to learn a few things about the craft and business of writing, and to enjoy literature. 18th October: The Wallis Lecture by Paul Money: Into the Darkness But Shining A Light. A talk on astronomy at the Conoco Philips Room, 7.30-9pm. 19th October: An Evening Of Linkisheer Dialect by Far Welter'd. The King's Head Hotel, Mercer Row, 7.30pm-9pm. 22nd October: Setting and Story: A fiction workshop by Dan Powell. 9.30am-1.30pm, Stanhope Hall in Horncastle. 22nd October: George Orwell and the Spooks: a talk, hosted by the WEA. 2pm-4pm, The Conoco Philips Room, Louth Library, Northgate. 24th October: Creativity and Writing: a workshop by Anthony Cropper. 6pm-8pm, The Trinity Centre, Eastgate. 25th October: The Enormous Crocodile: a storytelling and craft session and craft workshop for children aged 5-10 by Rhubarb Theatre. 10am-11.30am, The Trinity Centre, Eastgate. Those are just a few of the events on offer this year. To find out what else is on, or to book a place, click here. Wolds Words has been a great help to me over the years, resulting in more than one epiphany which has helped me bring my writing to a higher level. Long may it continue.